The Michigan State Capitol is the seat of government for the State of Michigan. The Michigan Senate and the Michigan House of Representatives still meet in their historic chambers in the Capitol. The Capitol is also home to some legislative offices and committee rooms. Other offices and committee rooms are located in nearby buildings. Legislative sessions are open to the public, and are also available for viewing online. 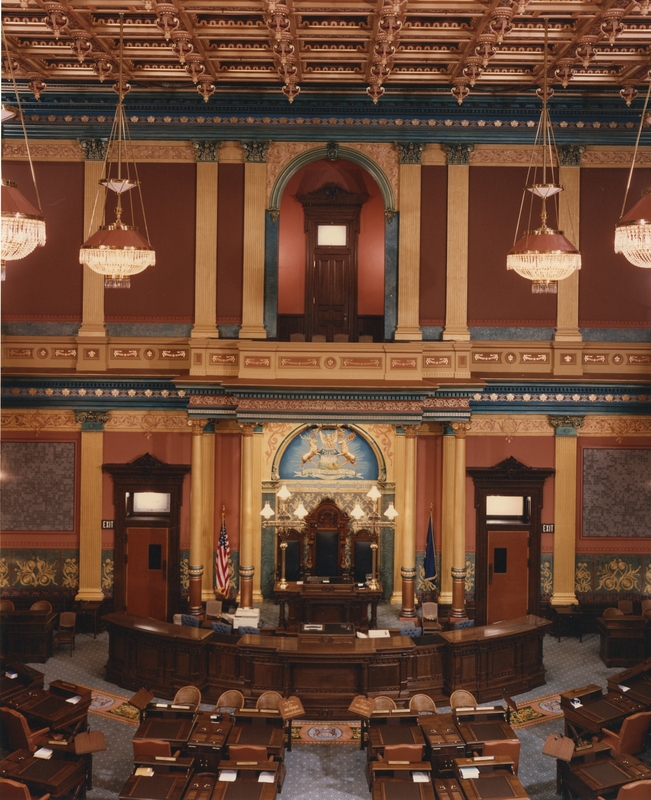 Information about the Michigan Senate, including visitor information, session schedules, committee meetings, and how to find and contact your senator. 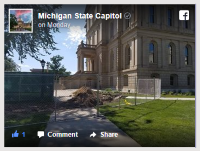 Watch Michigan Senate sessions and committee meetings here. Information about the Michigan House of Representatives, including visitor information, session schedules, committee meetings, and how to find and contact your representative. Watch Michigan House of Representatives sessions and committee meetings here. Information about bills, resolutions, public acts, legislative committees, and legislative calendars. This site is designed to provide information about, and links to, the Michigan Legislative Council, its agencies, and the agencies it serves. The fully restored Michigan Senate Chamber c. 1990. 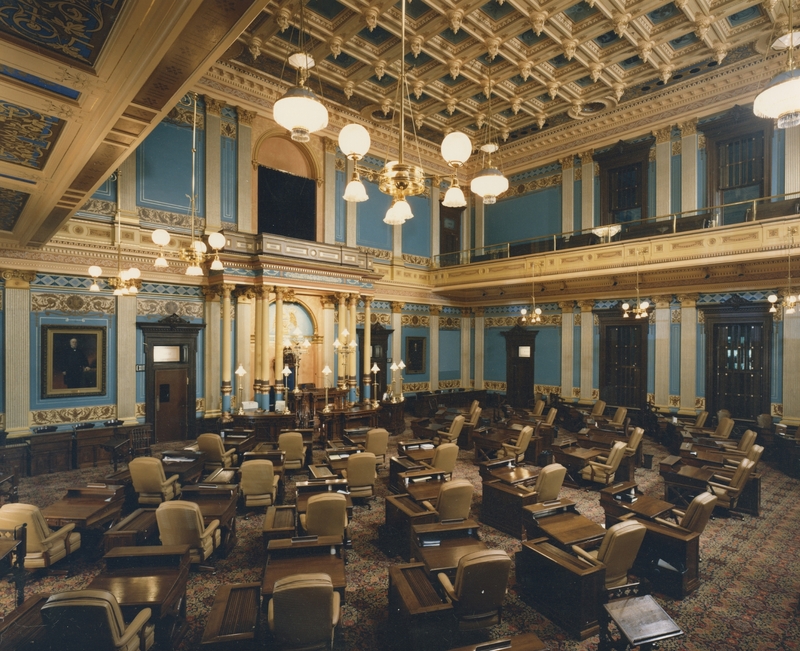 The fully restored Michigan House of Representatives Chamber c. 1990.